The largest clock in the county? St. Pancras Station was the great London terminus for the Midlands Railway Company. 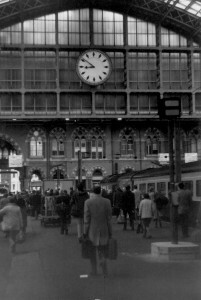 Opened in 1868 it was the largest single span roof in the world and dominating the southern end of the concourse was the station clock. Thousands of couples must have arranged to meet ‘ under the clock’ and tens of thousands of travellers glanced at it, some in panic, as they rushed to catch their train. 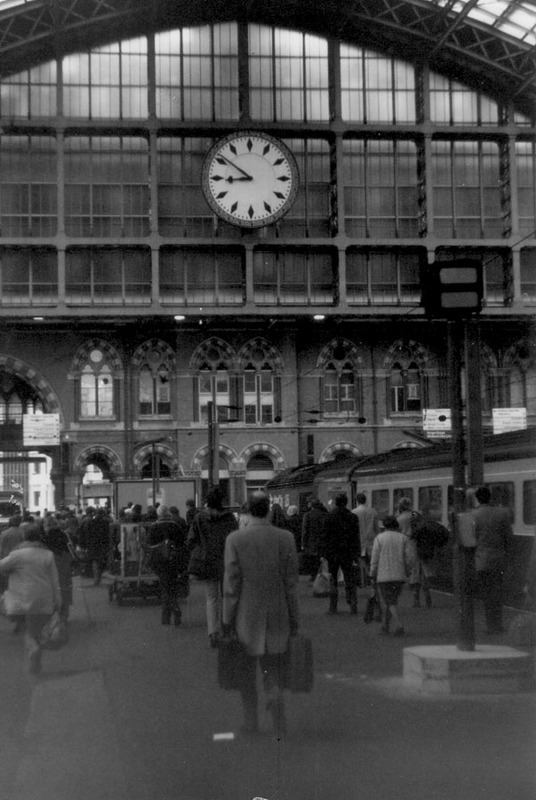 In the 1970s the station was in a sad state and British Rail planned to sell the platform clock to a wealthy American for £250,000 but as it was being dismantled it fell and smashed into hundreds of pieces. In stepped Mr Roland Hoggard of Priory Farm, Thurgarton. Roland was a railway guardsman and a clock enthusiast; he bought the clock fragments for a song and bit by bit carried them back to Thurgarton in his guards van. Over the next two years he painstakingly rebuilt the clock face on the side of his barn along with the clock mechanism. 30 years later St Pancras Station underwent a massive rebuild and modernisation scheme becoming the London Eurostar terminus. 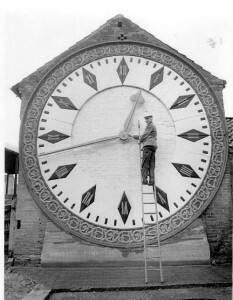 Dents of London and Smiths of Derby were contracted to recreate the old station clock - which led them to Priory Farm, Thurgarton and Roland’s barn. The old clock face was too fragile to reuse but it was the ideal template on which to base a replica. Roland was present at the grand opening of the refurbished St Pancras Station by the Queen in 2007 ; Smiths of Derby laid on transport and Ian Thompson ( Roland’s neighbour) provided a bow tie. Roland was now well over 90 years of age and found it ‘rather a long day’. 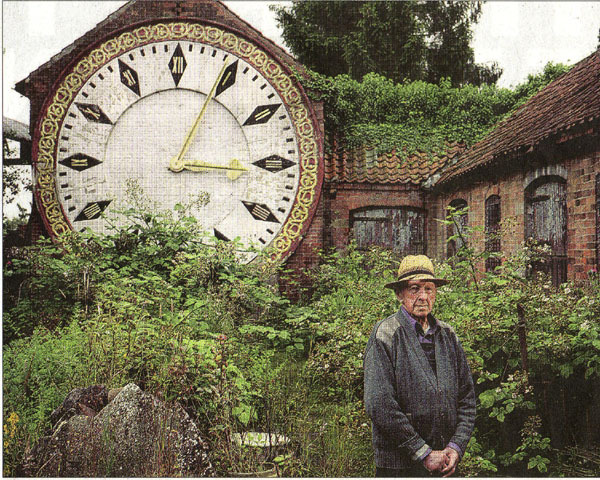 In 2013 Roland Hoggard died in his mid 90s and the surviving parts of the clock face , the hands and mechanism are now at nearby Upton Hall – the home of the British Horological Institute. I see Mr Hoggard died earlier this year. As a tourist guide for Notts I used to tell the above story to passengers on my tours going through Thurgarton. Can you tell me what will happen to the clock and his collection? I would love to keep mentioniong it in future? Hi, I am a freelance journalist with an interest in both railways and rural matters. 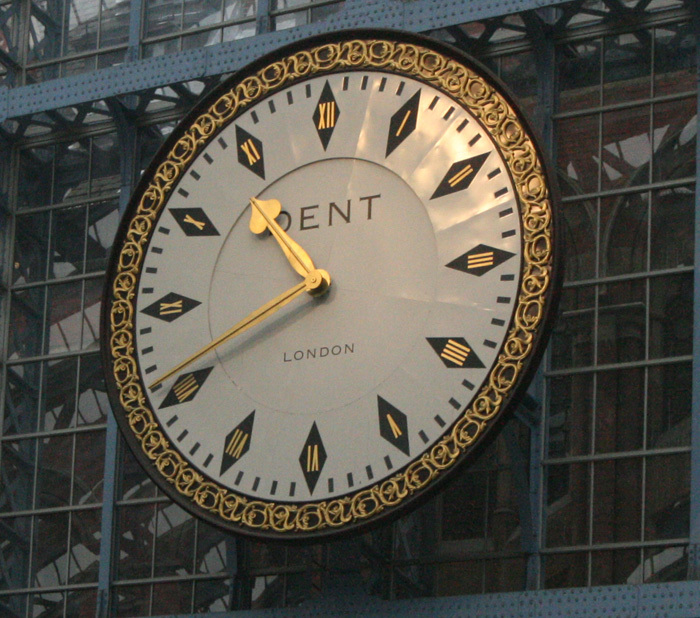 I would love to know if this clock is still in place, or if not, what happened to it. What a facinating and charming story. A true inspiration and great example of what dedication can achieve. 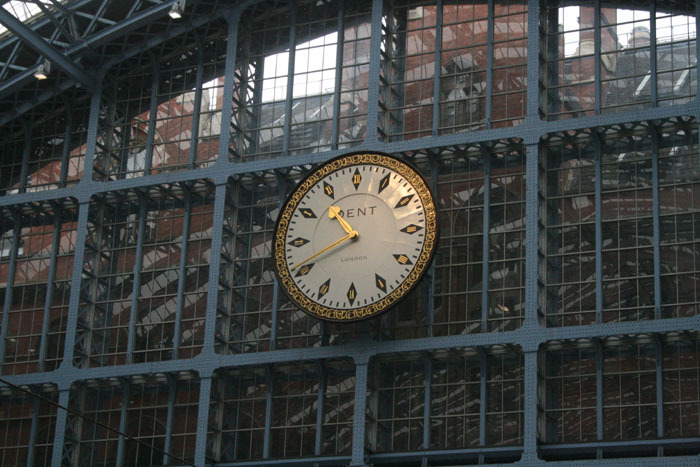 St. Pancras is an amazing station and this little story has made even more interesting. Excellent!